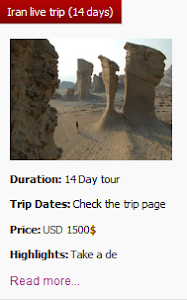 Uppersia Iran Travel blog: uppersia is your Iran tour operator. uppersia is your Iran tour operator. If you look for traveling to a country that is distinct in its culture, landscapes, people and their hospitality, politics and society, Iran is the right place! Traveling to Iran will give you the chance to put aside all the preconceptions and discover a country firsthand. 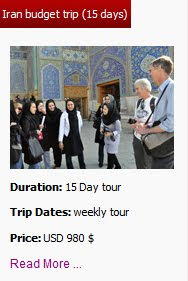 Beside other Iranian tour operators, uppersia has found itself competitive in quality and costs in offering tour packages and customized trips to eager travelers! 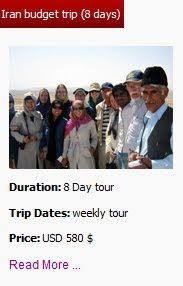 Our tour packages include adventure tours, cultural tours, anthropological tours, nomads tours, sports tours, exhibitions tours, safari tours and you can also plan your trip to Iran or get a quote for it through us. Don't hesitate to contact us for any help you need to travel to Iran! book a trip to Iran? apply for your Iran visa? use Iran transport services such as transfer services, car rental ...? book a hotel in Iran? 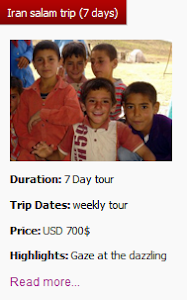 plan your trip to Iran with uppersia.com? get a quote from uppersia.com to travel to Iran? share your photos of Iran on uppersia.com? post your questions on uppersia.com forum?